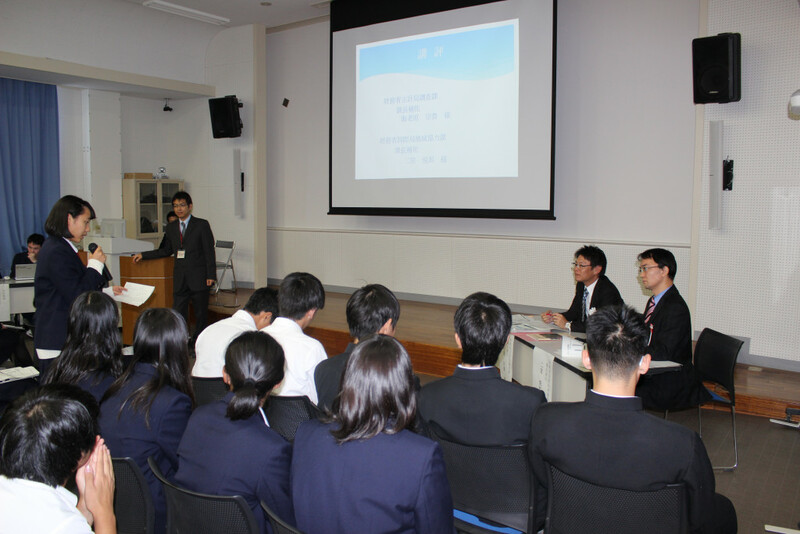 On November 5th (Saturday) the 1st and 2nd year students participated in a “National Finance Education Program” class that was conducted by our school and the Ministry of Finance. 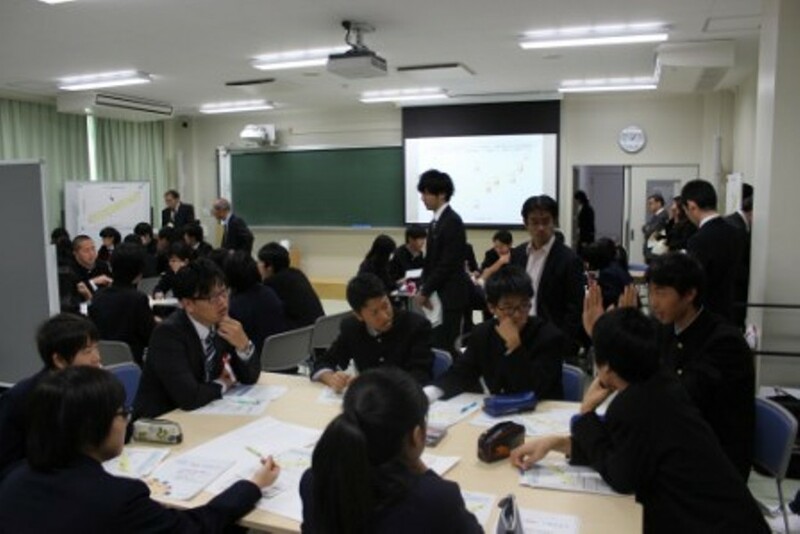 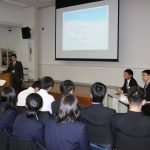 For the 2nd years’ class, we invited Deputy Director Munetaka Ebihara of the Ministry of Finance Budget Bureau’s Research Division and Deputy Director Etsuo Ninomiya of the Ministry of Finance International Bureau’s Regional Finance Cooperation Division. 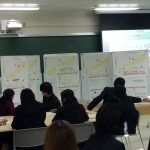 After listening to the students concerning the 2nd year groups’ themes for their SGH “Project Studies” and their presentations that proposed various solutions for foreign aid, these two gave crucial advice and comments based on the actual financial affairs that are currently being carried out by the Ministry of Finance. 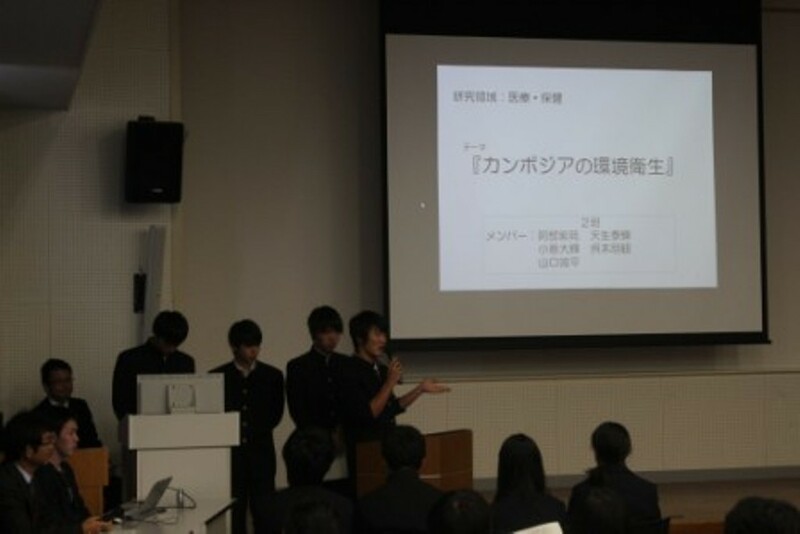 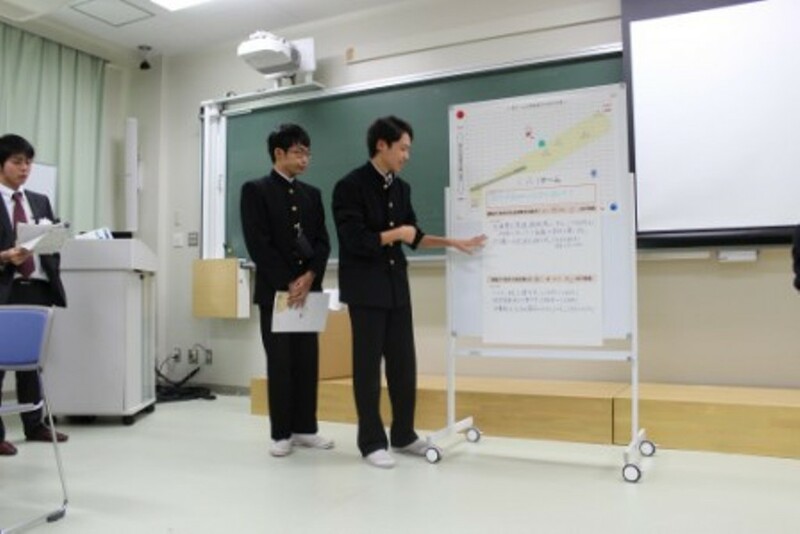 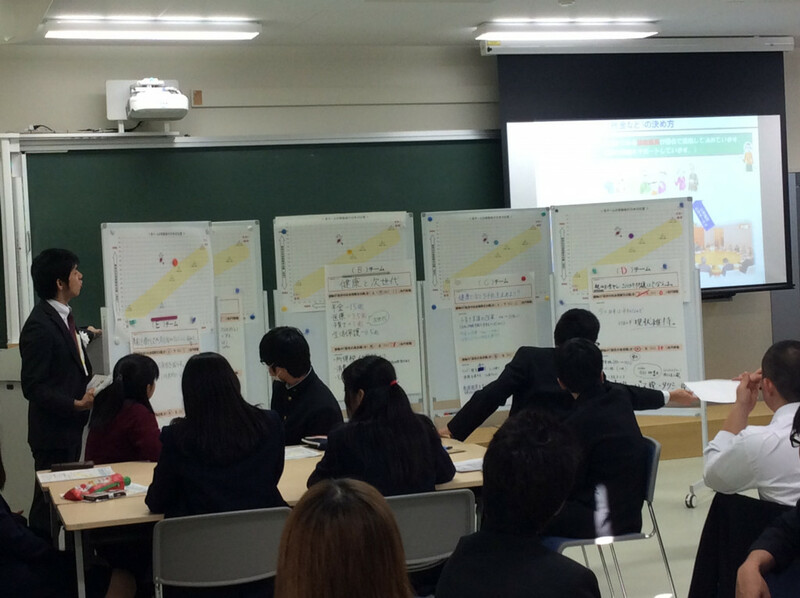 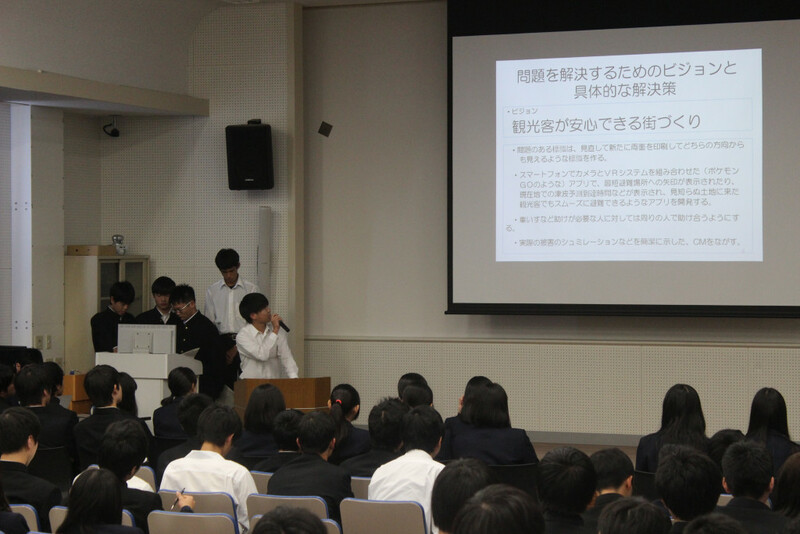 In the latter half of the class, Director Ebihara gave a lecture on the nation’s financial affairs. 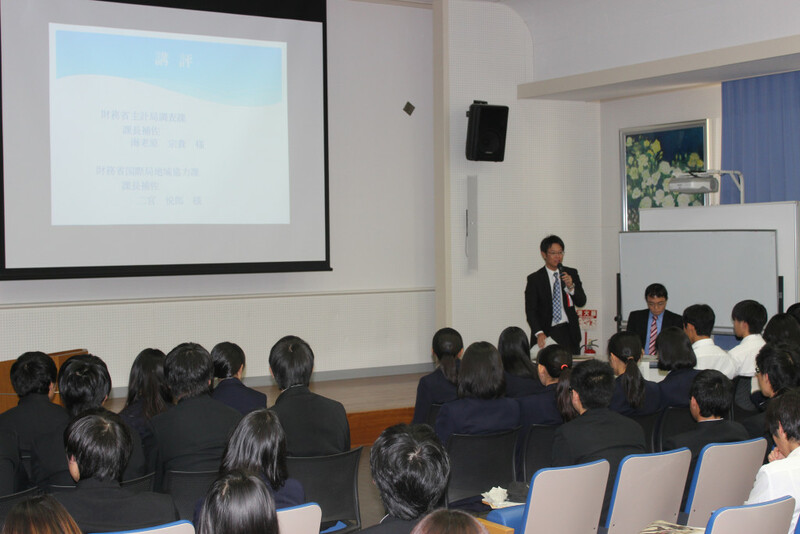 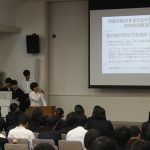 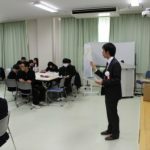 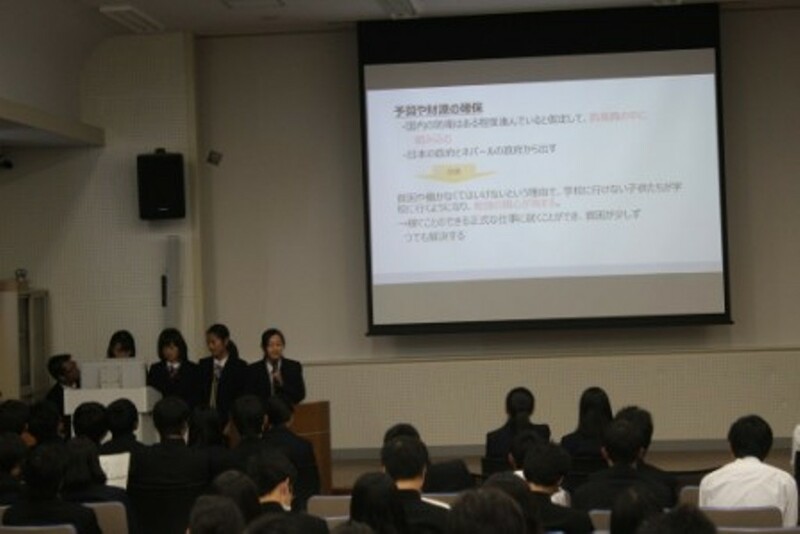 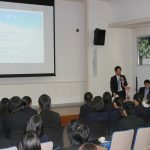 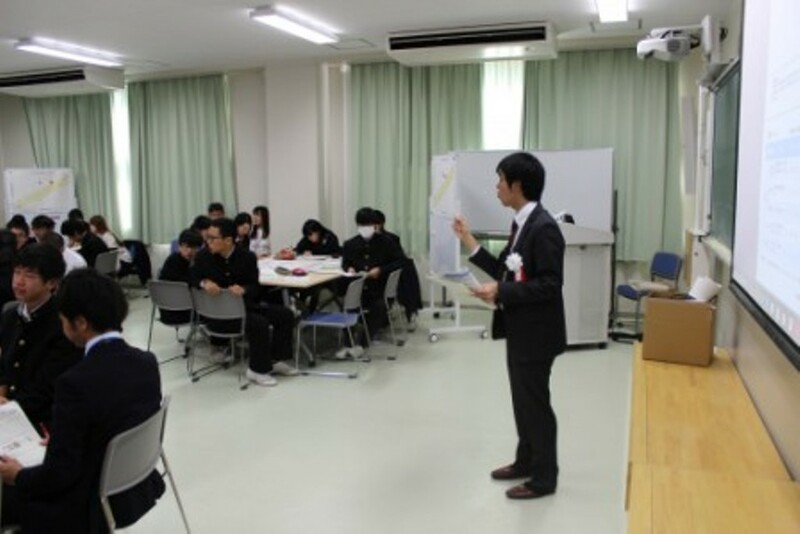 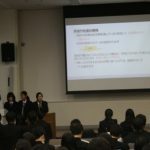 Again, for the 1st years’ class we invited Deputy Director Kazuyuki Toma of the Ministry of Finance’s Public Relations Office for a lecture concerning the social security system. 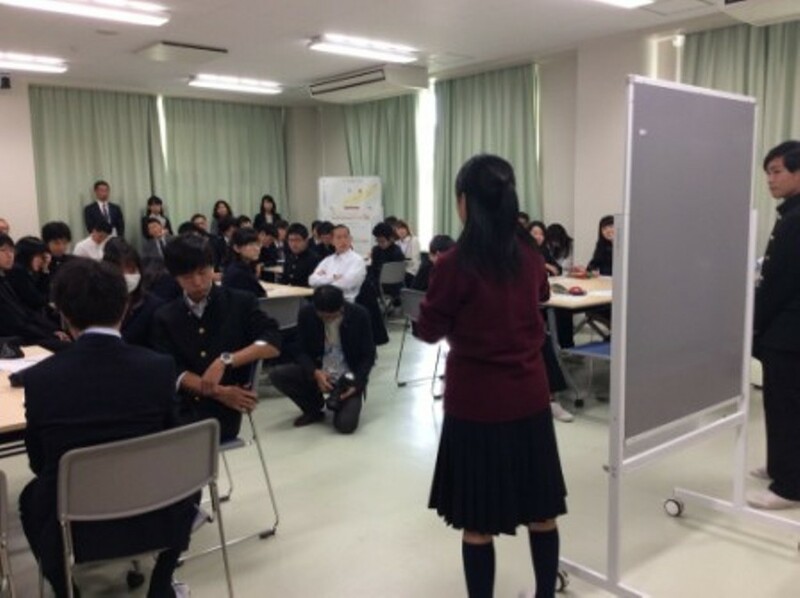 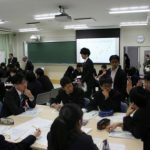 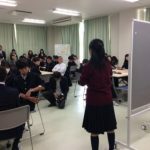 Director Toma gave crucial comments and advice to the students after having them create and present a reformation plan for the current social security system followed by a Q&A session. 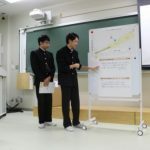 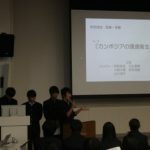 As a summary, the Director also gave a lecture on the importance of actively participating in society after becoming 18 years old (Independence).